Have white hairs started peeping through your eyebrows? Are you desperately looking for a way to hide them? Opt for eyebrow colors or dyes. These are known to be the safest as well as the most effective option to cover grey or white hairs without giving you an awkward look. Here, we would know the different amazing ways to color the white hair of eyebrows. The sub-heading itself is enough to give us an idea about the procedure. It revolves around the application of a ‘root dye’ that offers temporary coverage to the white or grey hairs in eyebrows. You can avail these dyes in simple mascara-like containers. You cans use them anytime and anywhere to give the roots of your brow-hairs a nice touch-up. Simple, easy and fast to use. All you need is to brush it on the white hairs carefully. There is no possibility of messing up. Gives a beautiful natural look, while making the color slightly fuller in appearance. Offers short-term results that can last for maximum 24 hours, i.e., one whole day. Gets washed off by water as it is not a waterproof version. So, reapplication may be needed if the brows come in contact with water. Coloring the grey or white hair in eyebrows with a regular hair dye is known to be the most popular method for this purpose. 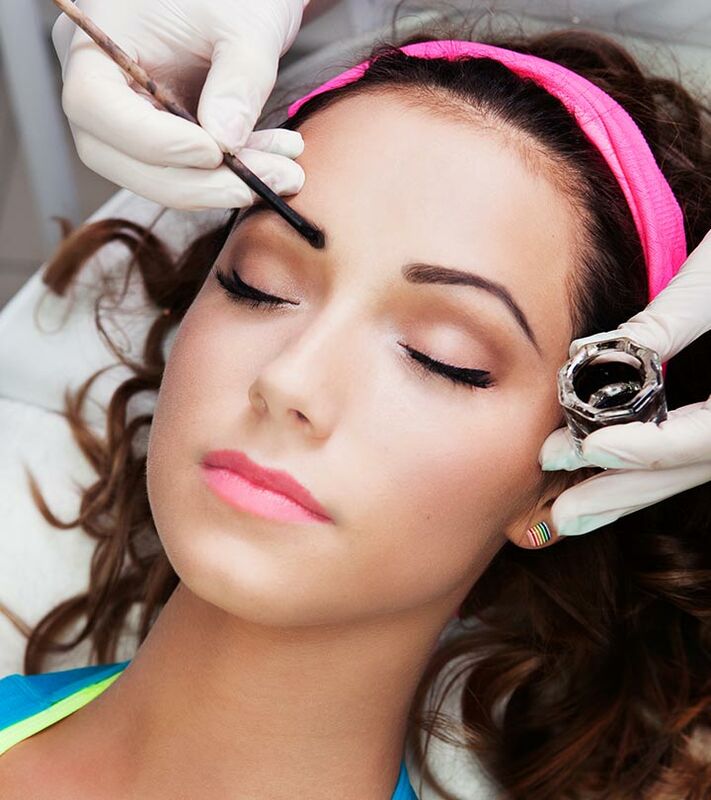 You can either get your brows dyed by a hairstylist at a salon or simply do it by your own in your home. The application is slightly tricky. One needs to be very careful while applying it. Can get messed up, if proper method is not followed and you may end up staining your skin. Needs more time than the previous technique. Gives a beautiful and natural look. Offers long-lasting results, which can range from a few weeks to a couple of months. Start with cleansing your eyebrows thoroughly. There is no need to apply a facial wash. Rather, do it by using a simple cotton pad and lukewarm water. Once you are done with it, pat dry the brows and the surrounding skin gently. Apply petroleum jelly (Vaseline is absolutely the perfect choice) liberally to the skin around both of your eyebrows. This is important so that you do no end up staining your skin during the procedure. However, make sure that you do not apply it on your brows. Otherwise, they would not be able to hold on the color. Wear a pair of disposable plastic gloves before starting the application. It will prevent your hands from getting dyed. Go through the manufacturer’s instructions that come with the coloring kit. Usually, it contains two specific solutions – one is ‘color’ and the other is ‘developer’. They need to get mixed properly in order to activate the dye. Now, apply it to your eyebrows (focusing on the white hairs, of course) with the help of a disposable mascara wand. You may lift the hairs up a little by using a toothpick and move the tips of the mascara wand along their roots for the best results. Wait for some time (as mentioned in the instructions) so that the color can take hold of the brow hairs nicely. After that, rinse it off with a mild facial cleanser and lukewarm water. The best thing about coloring the white hair in eyebrows at home is that it needs less than 10 minutes. Also, you can save your bucks. Moreover, you get a wonderful natural look that lasts for long. Do you know any other methods to color eyebrow white hair? Which is the best eyebrow color for white hair according to you? Share the way you have chosen to color your white hairs in the below comment section. 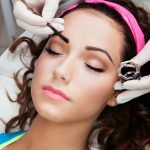 How To Identify And Prevent Hair Loss On Eyebrows?